In the past decade, an insufficient number of American students have been pursuing careers in science, technology, engineering and math, otherwise known as STEM fields. Occupations in STEM are crucial for our nation in continuing its path to innovation and economic success. President Obama implemented a plan to increase the number of students and teachers proficient in these fields. The plan aims to educate students about STEM at a young age and sustain engagement as they grow older. Houston, Huntsville, Seattle, Tampa, Chicago, Miami, San Francisco and Columbus have earned special recognition due to their outstanding STEM attractions and programs. Student travel groups will find much to discover in each of these eight cities. Northern Alabama is home to fun summer camps and to programs tailored toward female students. Huntsville was named “The STEM capital of the South” by financial website SmartAsset.com. The U.S. Space and Rocket Center attracts students to Huntsville because it is home to one of the greatest collections of rockets and space memorabilia in the world. 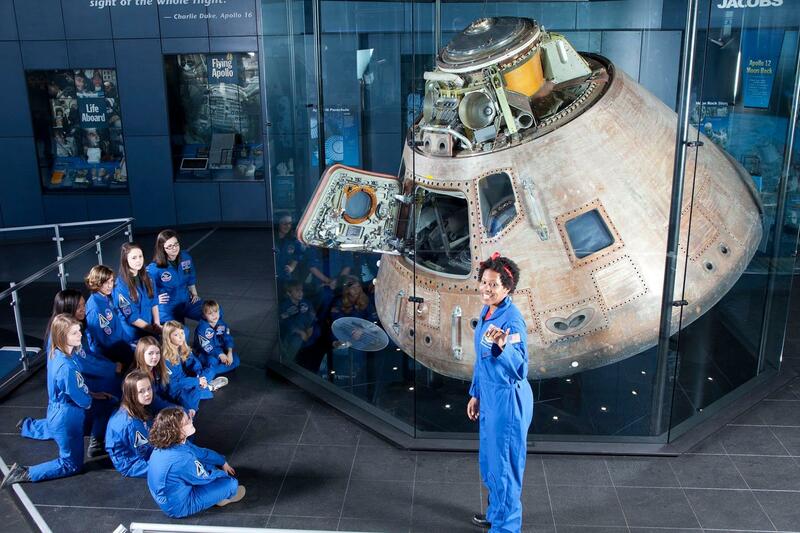 The center contains interactive exhibits, hosts events and engages with children during space camps. It also has a variety of group field trip options (typically weekend-long programs) such as “The Ultimate Field Trip,” “Daily Space Adventure” and a “Youth Leadership Retreat.” Cummings Research Park is a science and technology business park with a mixture of Fortune 500 companies, local and international high-tech enterprises and higher-education institutions. The park is spread over five acres, and tech trolley tours are offered for visitors to gain awareness of the park’s main functions and recent additions of outdoor amenities and greenways. Girls Incorporated of Huntsville is an organization that empowers young women to become bold and successful in technical areas of study that tend to be dominated by men. Female students travel to Huntsville specifically for its internship program as well as shorter one-day briefing sessions, which provide life-skills training that will prepare them for STEM-related careers. Visiting students like Huntsville Botanical Gardens, consisting of an open-air butterfly house, a bamboo garden and a space garden. This 112-acre greenhouse filled with ferns, vegetables and aquatic plants provides a peaceful retreat. Miami attracts students with its Caribbean-influenced culture, flashy restaurants, shops and beautiful beaches. Besides being a popular tourist destination, Miami is also home to summer programs that encourage underserved communities to explore their career options in STEM-related fields. The Overtown Youth Center is revamping its curriculum to open up doors for all students interested in science, mathematics, technology or engineering. The center has two annual youth summits (one for boys and one for girls) that national students who wish to attend can plan for accordingly. These summits will create an encouraging and supportive environment while high school students engage in learning modules and leadership conferences. A popular attraction among STEM student groups is the Patricia and Phillip Frost Museum of Science, conveniently located adjacent to the Perez Art Museum. The science museum just had the grand opening of its new complex, which includes fun exhibits like the “Curious Vault” and “Feathers to the Stars.” The latter exhibit carries its visitors through the evolution of animal flight to the process with which humans used engineering to go airborne. The “Curious Vault” showcases a variety of treasured specimens that were donated to the museum by members of the community. Like Huntsville, Seattle has programs focused on attracting young women into STEM-related field. The Burke Museum has free programs that offer real-world experiences for middle school and high school girls interested in technology and math. For example, by having students view preserved specimens, they learn about how the natural world has changed and can therefore better predict the future. Students can volunteer with the Techbridge organization to gain leadership experience and set a good example for the next generation of innovators. Seattle offers a variety of shortened programs for students on brief visits: The Summer Odyssey of Science and Arts has one-day commuter programs and the MIT Spark Program is only a weekend-long commitment. The Spark program covers everything from leadership and communications skills to biotechnology and pharmaceuticals. Students enjoy the Odyssey program because of their access to specialized labs and university resources. Seattle’s Digital Media Academy has one-week tech camps broken down by age groups. These camps have computer science tutorials to help guide students through individual projects assigned. Klondike Gold Rush National Historical Park appeals to student tourists with its interactive exhibits, gold panning demonstrations and display of gold bars and other mining artifacts. Students visiting Seattle may also wish to visit the Kubota Garden, a peaceful Japanese garden. Students can travel about an hour north of Seattle and take the Future of Flight Aviation Center Boeing Tour. This fully-guided tour of the largest factory in the world shows students how aircrafts are made and allows them to participate in flight simulations. A favorite with student tour groups in Tampa is the children’s science center at MOSI (The Museum of Science and Industry). 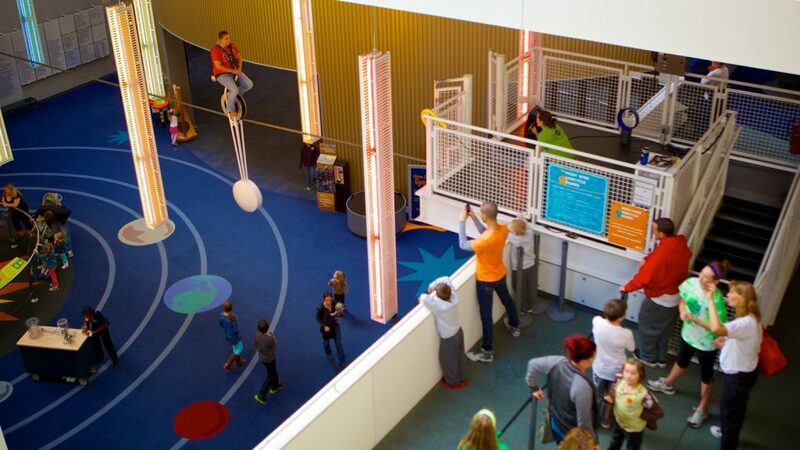 Exhibits in this section of the museum feature activities such as making a movie or operating a lunar colony. The museum also hosts annual events like “Rocket’s Red Glare Festival,” which would be a great event to build a trip around. 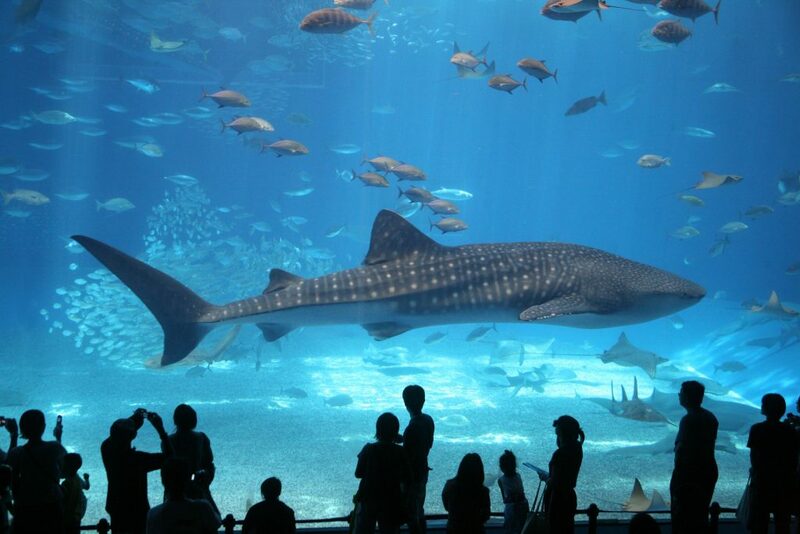 The Florida Aquarium, a leader in conservation and education, hosts field trips for students and families visiting the area. They’ll enter interactive rooms with simulations that stimulate hands-on learning and exploration. An appealing destination for visiting students is the Dali Museum, containing the largest collection of Salvador Dali art pieces outside of Europe. Just looking at this breathtaking piece of architecture from the outside will activate students’ brainpower and leave them asking themselves what mechanics, physics and/or mathematical skills were needed to build such a structure. Busch Gardens is another attraction for STEM students; in fact, this African-themed animal park is one of the largest in North America. Students are able to dive right into this culturally rich environment and feed into their science-hungry mentality. The Museum of Science and Industry may be the largest Chicago attraction for STEM students, providing engaging science experiences for both students and teachers. Adler Planetarium is a popular place that opens students’ eyes to the wonders of astronomy and the universe. Students can undergo Adler’s newest exhibition, “Chasing Eclipses,” where they’ll be immersed in a spine-tingling experience of a solar eclipse. The planetarium is part of Chicago’s Museum Campus, which includes the Shedd Aquarium and Field Museum. This exposure to astronomy, aquatics and natural history guarantees that some aspects of these museums will spark students’ interest. Along with these attractions are great student programs that encourage young leaders of the future from across the nation to come check out what Chicago has to offer. Chicago’s Loyola University has paired up with the iD Tech company to offer overnight field trips for STEM students interested in experiencing the college lifestyle early on. They’ll eat at the dining halls and sleep overnight in dorms all while their daily activities consist of coding, apps, game design and more. Houston provides an abundance of STEM programs focusing on youth development and leadership. 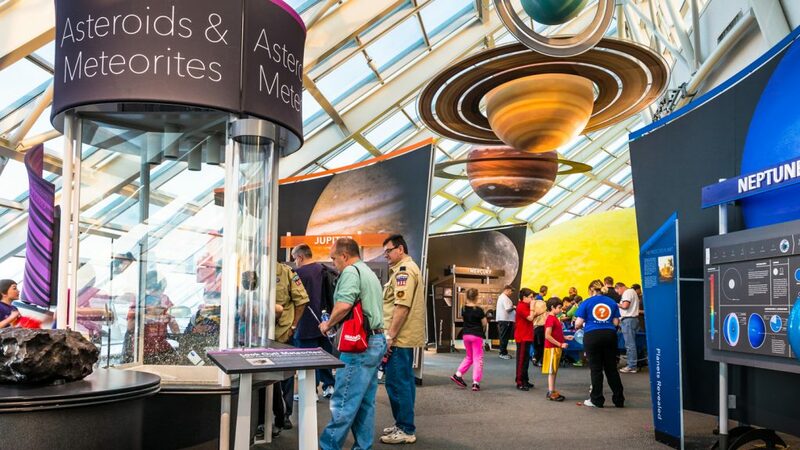 Along with local programs such as STEM Scouts, the assortment of museums and observatories make the city a popular destination for student tour groups. Among the attractions is the Houston Museum of Natural Science, which contains a variety of exhibits from the basics of chemistry to ancient Egypt. The museum also contains one of the largest collections of gems and minerals in the U.S. as well as North America’s largest dinosaur hall with skeletons and fossils throughout. NASA Johnson Space Center encompasses America’s space flight program through live presentations and behind-the-scenes tours. The space center has a replica of a shuttle where students can climb aboard. They can also view historical artifacts and touch a real-life moon rock. Houston’s DeBakey High School for Health Professions is ranked the ninth best institution in the country for its implementation of STEM programs, making Houston a hit for visiting student groups who wish to interact with local students enrolled in these programs. Visiting students who wish to explore the city’s history can take a driving or walking tour through Memorial Park and Old Market Square. For students intrigued by nature and wildlife, the Arboretum and Nature Center is a 155-acre nature sanctuary containing forest trails, ponds and prairie habitats. San Francisco has a thriving culture built on science, technology, engineering and mathematics. Autodesk Inc. is a corporation for the architecture, engineering, construction, manufacturing and media industries. The company’s Autodesk Gallery in San Francisco features its customers’ work, a display of pioneering design and inventive engineering from around the world. The gallery was named a top museum destination by Wired Magazine and the San Francisco Chronicle. Students are attracted by the gallery’s vibrant, interactive exhibits, as well as its free admission and guided tours. The Silicon Valley also offers one-day programs consisting of science festivals and fairs with a goal of expanding students’ horizons. These programs are perfect for accommodating STEM students who are briefly visiting this city – they’ll gain fresh perspectives by interacting with local students and teaching staff. 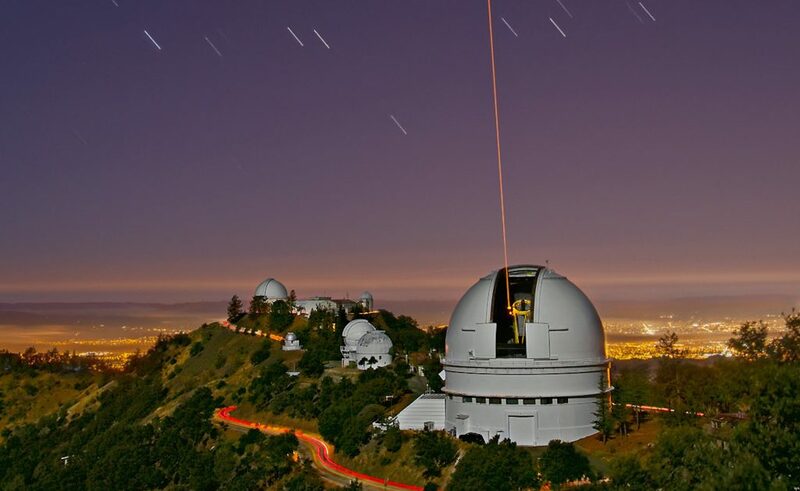 Students visiting the University of California’s Lick Observatory in San Jose to will learn about the largest telescope in the world and can engage in a star-gazing program. Among San Francisco’s biggest tourist attractions is Alcatraz Island, a previous federal penitentiary. Tour groups will see the guard tower, power plant and cells that once housed notorious criminals such as Al Capone. Students traveling to the Bay Area also can marvel at attractions like Muir Woods National Monument and Golden Gate Bridge. Columbus has been named a top city for STEM grads and ranked 21st in the nation for best areas for STEM professionals by finance website Wallethub. Because of such accolades, STEM teaching staffs promote Columbus as a top destination for student tour groups. 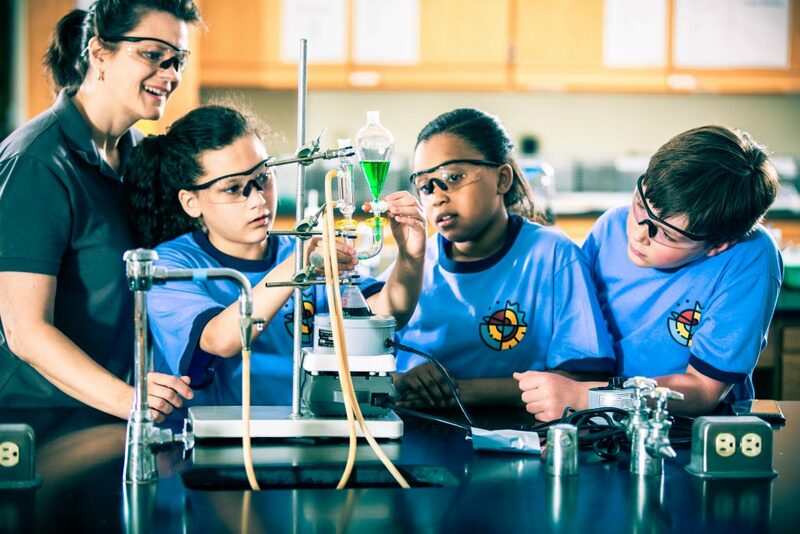 Field trips to Columbus allow students to connect science, technology, engineering and mathematical concepts to fun everyday adventures, including hands-on activities. The Ohio STEM Learning Network hosts an annual event in Battelle showcasing opioid abuse crisis and prevention. This regional event has over 100 student participants (mostly local, but some national) who present their research findings in an open house forum. This opportunity allows for students to interact among professionals and give them confidence to pursue an occupation in a STEM field. Among the largest STEM outreach programs in the U.S. is the COSI Museum, an acronym for the Center of Science and Industry. COSI offers lab field trips, video conferencing programs and camp-in overnight programs popular with Boy Scouts and Girl Scouts. Some of COSI’s classic exhibits include “Energy Explorers” and “Progress.” “Energy Explorers” teaches students about how energy powers the world around us, while “Progress” takes visitors back in time and allows them to interact with technology from 1898 and 1962. STEM programs are becoming a necessity with the drop in students entering fields such as science, technology, engineering and mathematics. If jobs continue to stay unfilled due to lack of qualifications, our nation’s global competitiveness will suffer. Our future leaders are dependent on these STEM programs to increase their awareness, spark curiosity and encourage them to follow through with ambitious goals. Chicago may be the crown jewel of Illinois, but countless adventures outside the city are beckoning students to the Land of Lincoln. How can a theme park be a top-notch educational destination? Prepare to be shocked at just how many learning opportunities lie within Universal Orlando. Universal Orlando Resort offers innovative STEAM and performing arts programs to engage students in multiple disciplines.